What role does R2 investments play in a project? R2 acts in the capacity of a "Marketing & Technology" Advisor at the project level. How does R2 compare and contrast different projects? Our cutting edge tools like risk and walk scores on the property help contrast one project from another. For e.g. a project located near Yonge & Eglinton ranks higher on the Walk Score index due to its proximity to all sorts of amenities versus a project located on outside fringe of suburbs. What are various types of real estate investments? We do not advise on or sell securities. We empower our clients with knowledge and tools so they can make their own independent decisions. Our portal offers education on a wide variety of curated deals that are diversified across geography and asset type: retail, office, industrial, apartments, mixed-use, student housing, seniors housing, self-storage, and more. We offer projects outside of Canada as well. It is the return expressed as %/Yr that a property owner or developer is willing to pay out to it's investment partners prior to him taking out his profits. What are typical preferred returns in the market? Large institutions generallly offer prefs at lower end i.e 6% but it can be as high as 15% in smaller end of the market. What kind of things should I look out for in an LP agreement? Which one is a better vehicle to invest with - pref shares or LP? They both can offer similar rights and options, however, the main difference lies in the tax treatment. For e.g., Dividend tax vs. write off's. What are some others sources of education and knowledge? Is it better to invest via public REITs or private REITs? Private REITs are better shields against volatility but Public REITs provide better liquidity. Arguably Private REITs have a lower overall cost structure which means higher returns for investors in general. What is the difference between equity and debt investments? Under an equity investment an investor will be a partner in the real estate and their ownership interest will be registered on title via a nominee/beneficial owner structure. This is done typically through either a preferred share or Limited Partner structure. A limited partnership (LP) exists when two or more partners unite to jointly conduct a business in which one or more of the partners is liable only to the extent of the amount of money that partner has invested. Limited partners do not receive dividends, but enjoy direct access to the flow of income and expenses. The main advantage to this structure is that the owners are typically not liable for the debts of the company, do not have to provide loan guarantees and are generally also not responsible for capital calls. For e.g., Access to Debt deals is typically achieved through MICs. What happens if the Sponsor or the project goes into default? In the event of default, there are several protection rights that are typically built into the Limited Partnership and Subscription documents that an investor is able to pursue legally in consultation with their counsel. How do public REITs compare with LP investments, MICs or Private REITs? Often times, public REITs provide little to no capital appreciation. Even though they pay dividends, REIT income is taxed, typically at a much higher rate than most dividends. Large part of a REIT's dividend is considered ordinary income, which is usually taxed at a higher rate. REITs are required to pay property taxes, which can make up as much as 25% of total operating expenses, reducing cash flows to shareholders. There are many benefits of investing in MICs, Private REITs and LPs including protection from stock market volatility and tax efficiencies. What are some of the things to watch out for? Liquidity options and associated hair cuts for early redemption. Typically all profits and losses are flow through to the LP unit holders. Please consult with your accountant or tax advisor to determine any tax implications. At R2 investments, we use advanced firewalls and Secure Socket Layer (SSL) technology as well as automatic sign-out to keep your personal information secure.  R2 works in commercial real estate markets with property owners & developers looking to use wealth and lifestyle data to enhance their efforts.